Ricky Loved Madonna - Joe.My.God. 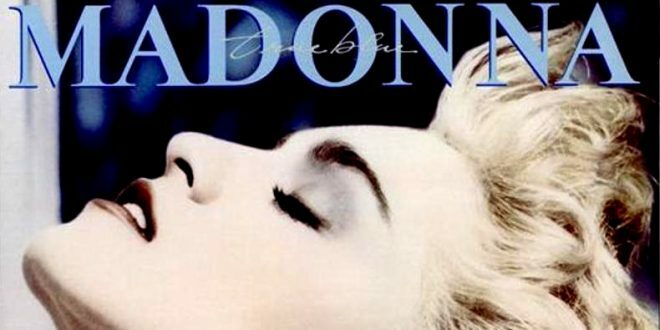 Gentle readers, today is Madonna’s 60th birthday. Below is a short story that first appeared on JMG on this day in 2006, a date which, as you’ll see, plays a role in the story. Twenty years ago today, August 16th 1986, I was a few months into a new job with AMC Theatres, a position that I would hold for seven years after having spent a few years after college drifting around bartending and DJing. After burning through three DJ gigs in about a year, I took the management job with AMC almost in desperation, happy to finally have a regular paycheck. I bought my first brand new car. I had several dozen underlings. I had a business card. I felt like a grown-up, almost. Twenty years ago today, it was a Saturday. As the assistant manager, I had to be at the theater at 10am even though I had closed the midnight shows the night before, not getting home until almost 4am. I stumbled through the still-unfamiliar opening procedures. My mind was on Ricky. I took the cash drawers out to the concession stand and the box office and turned on the air conditioners and lights in all the auditoriums. The first movie, a Disney cartoon, started at 11:30am and we had hundreds of people in front of the box office before I even rolled up the mall gates. Twenty years ago today, the night before was a Friday. It was the opening night of the remake of The Fly starring Jeff Goldblum. My six-plex was jamming. The Fly sold out at every show, driving the overflow audiences into Top Gun and Aliens, which were still doing decent business on their own. All six auditoriums sold out by 8pm and I rushed to get that show’s money counted before the first of the auditoriums began to let out and we had to start the process all over again. I pushed into the counting room inside the manager’s office and dumped several thousand in $20s onto the countertop. I looked out into the mall where hundreds of teenagers milled around in front of closed storefronts. The Interstate Mall was on its last legs. All that was left within view was the theater, a pinball arcade, an adult novelty shop, and the driver’s license bureau, which was closed at that hour. The teens roamed the broad unswept avenue of the mall in swirling, shrieking packs, anxious for the late show to begin. I shook my head. “Todd, I’m the only one here. I have the late show and then the midnights. The last movie doesn’t let out until almost 3am. I have to lock up.” Todd nodded and made a move like he was going to hug me, then realized that a dozen of my employees were watching. Awkwardly, he stuck out his hand as if that’s what he’d intended all along. I shook it and he left. I had never shaken Todd’s hand before. Twenty years ago today, one week earlier, Ricky went into the hospital. He’d had a seizure on the bathroom floor of his sister’s condo. Todd and I went to the hospital the next day and found him lying unconscious in his bed, unattended, in a pool of feces. Todd staggered into the hallway and tried to control his retching while I looked for a nurse. At the nurses’ station, the stout Jamaican woman behind the counter nodded curtly but didn’t get out of her chair when I asked that Ricky receive some attention. I went back to find Todd sitting out in the lounge. At Todd’s insistence we stopped at the Burger King a few blocks away and washed our hands. Even though we hadn’t touched Ricky or anything but the door of his hospital room, we scrubbed the front and backs of our hands like we’d seen surgeons do on television. Twenty years ago today, two weeks earlier, Todd and I dropped in at Ricky’s sister’s condo. Ricky had been forced to move in with her. He’d lost his job at the giant hotel near Disney where he’d been training to be a pastry chef. For a long time he’d managed to keep his illness a secret, wearing long shirts even in the hot kitchen so that nobody saw the purple lesions that were marching inexorably from his elbows to his wrists. A lesion appeared on the back of his hand and that one he covered with make-up, but when one appeared right on the tip of his nose, the head chef and head of human resources had called him in on his day off to fire him. Surely he understood, they told him, that they couldn’t have him handling food. When Ricky’s sister opened the door, she made a face. 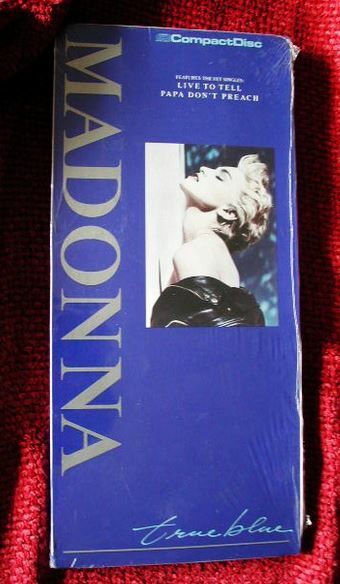 “He’s not feeling well.” She’d already made it clear to Todd on his previous visit that she did not like her brother’s “friends.” Todd said quickly, “Oh, well, we just wanted to drop off a present for him.” I had Madonna’s latest release, True Blue, on CD in a sparkly bag. We knew that he’d gotten the vinyl album earlier in the summer, but since he was such a big fan, we knew he’d like to have the CD version too. His sister led us into the bedroom where we found Ricky shrouded in blankets and watching television. He was cranky and inattentive to us, but momentarily brightened when we gave him the CD. He examined the cover. “It’s the same as the album, just smaller.” He didn’t have a player, hardly anyone did yet, so he laid the longbox reverently on his nightstand, propped against the lamp. His sister hovered in the doorway, smoking, anxious for our departure, and we soon obliged her. Twenty years ago today, three months earlier, I met Ricky for the first time at a party thrown by Todd. I’d heard from Todd that Ricky was “sick,” as we nervously called it back then, but he seemed fine to me. We stood outside on the patio and watched guys jumping into the pool. “Oh….really.” I began to look around for Todd. Ricky continued professing his undying love for Madonna until I was finally able to make a graceful escape. Later, Todd told me that Ricky had dressed as Madonna for the previous Halloween and belonged to her mail-order fan club and we laughed a little bit at his adorably nutty fandom. Twenty years ago today, August 16th 1986, it was a Saturday. The theater had brisk business for the morning show, selling out the Disney movie. After all the houses were rolling, I pulled the money from the box office and sat alone in the office to count it. I turned on the radio so I could hear Casey Kasem counting down the Top 40. “Right.” That’s how it often went back then. We never talked about it again. I never did find out what day was listed for Ricky’s death. As the years went on and Madonna’s fame increased, the press began to note her birthday. And ever since that started, I think of Ricky on August 16th. I never knew Ricky’s last name. He wasn’t a close friend. But he has stuck with me over these two decades. Twenty years ago today, Ricky, aged 28, died on his birthday. I will always hope that it was his August 16th birthday. Ricky loved Madonna.